Being a business owner, you are required to take care of securing your workplace and personnel along with handling your business, which could get overwhelming at times. It is no wonder that business workplaces could be susceptible to a threat perpetuated by a business rival, which provokes you to step up your security game. Or, if you are wondering how you should improve the security of your workplace, the following nine signs state that why your business building requires help with professional security. It is no secret to any business owner that the misplacement of documents could be damaging to the operation of a business. If your documents are being misplaced without your knowledge, you should consider stepping up your security game by incorporating professional security into your building. You could start by installing CCTV cameras, digital keypads and smart card access readers to ensure that your files are strictly accessed by authorized parties only. If you are operating a business on a large scale, you are more likely to expect a large number of employees. However, you should consider implementing an appointment system or visitor management system to ensure that you are visiting the correct visitors as per a formality. On the contrary, if you start receiving unexpected visitors without an appointment, you should improve the security system of your office’s building to make sure that you are not interacting with any uninvited guests. If you have assigned a team of remote workers to go around and accomplish their tasks in remote areas, they are more likely to have data associated with your business, which has a high probability of getting lost or stolen. In addition to that, the employees with your company’s information are likely to connect your database to unidentified sources, which increases their chances of getting hacked. It requires you to secure your IT department, and make sure that limited data is available to your remote employees. Office buildings are highly susceptible to a robbery, and if you have recently experienced a robbery, you should implement a high-level of professional security as well as a regular Risk Assessment into your business practices to avoid the occurrence of such activities again. Any business owner is concerned about their properties security. If you are constantly receiving threats from your business rivals, you should consider reaching out to a security company and ask them to provide you with excellent security services. It could be challenging to find a safe site to operate your business on; however, if your business is located in a hazardous/high-risk area, the thought of getting robbed can be overwhelming. It is a sign that you should consider investing in professional security to provide you with peace of mind. When operating a successful business, you are likely to yield business rivals, who would go beyond a mile to hurt the integrity of your business, as they could start sending you spontaneous threats. If you want to shield your office’s building from damage, you should ask a security company to provide you with excellent commercial security for the protection of your business practices. 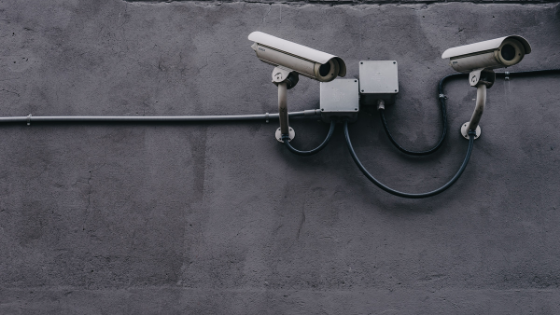 When working as an employer, you are often required to make sure that your personnel are safe within the premises of your office; therefore, you should consider implementing excellent security services to protect them and other valuable assets. No matter how you operate your business or where your office building is located, there is always a high rate of susceptibility to a threat. If you are concerned about the protection of your building, you can hire security services to minimize the probability of these threats.